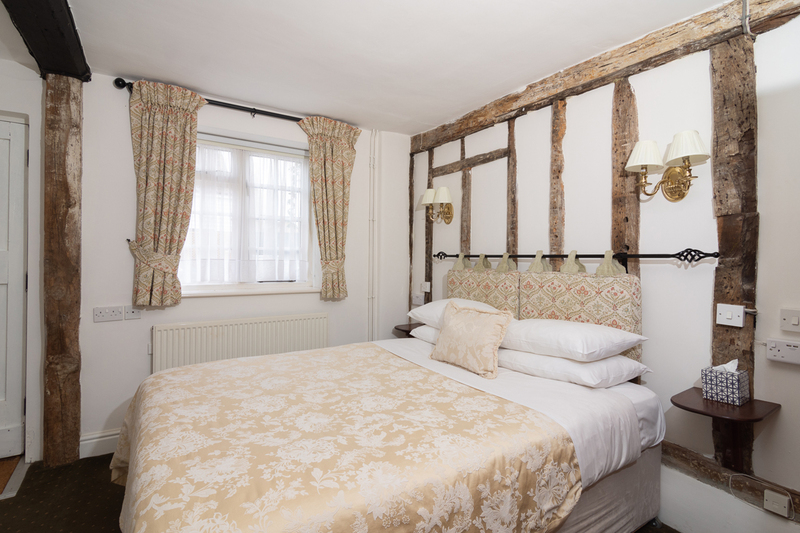 Saint Edmund's Suite offers extra space and comfort for your stay. 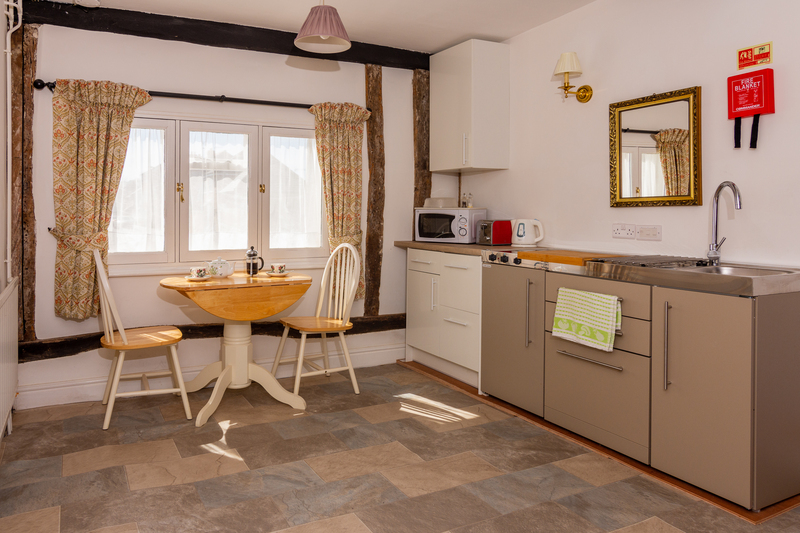 This is a ground floor suite situated in the medieval part of the property. Your own front door leads to the beamed bedroom with ensuite shower room. Walk through to the spacious sitting room with large inglenook fireplace. For your convenience there is a a flat screen TV in each room and bathrobes and slippers are supplied to help you unwind. 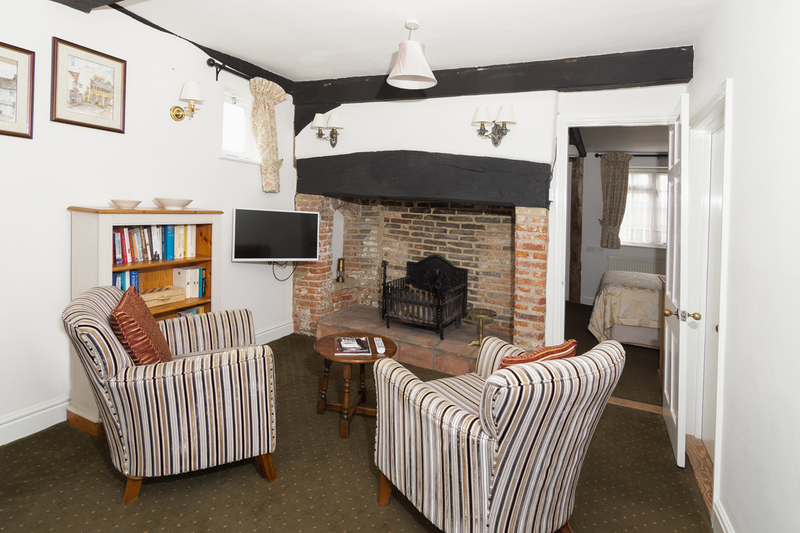 This is a lovely suite in which to spend a relaxing break or to work in peaceful surroundings. It is possible to link this suite with Room 12, Abbot Baldwin Apartment, if you require two rooms together. Please ask.